If you have a handheld fishing GPS, you will never lose yourself even in the unfamiliar fishing spots and if you ever lost the way of your favorite fishing spots, you can simply recover that by analyzing your previous records. Furthermore, the modern GPS devices are more innovative as they are mostly compatible with TOPO U.S. 100k, Recreational Lakes and Fishing Hot Spots. So if you are especially live in the US you can get advance information for hundreds lakes of US and their profiles. On the other hand, The GPS that is compatible with Fishing Hot Spots, that will help you to get a very detailed information of the top fishing lakes of US. The Global Positioning Systems are in the list all come with a preloaded basemap as if you can analyze in advance to find the distance and waypoint of your target spots while those apps as I talked in the above paragraph that will help you to discover your desired fishing spots in the US. After making sure these things in the listed GPS devices we built up a list of the five best handheld GPS for fishing. Using a GPS for fishing means you have to use it on different conditions and that’s why you should make sure these things (as I discussed below) are present in your GPS as if you can continue the navigating, locating and tracking anywhere in any condition. The preloaded basemap on the GPS will be helpful for an advance navigation. So before a fishing trip on any spot you can find out the waypoints and distance. But if you additionally install and subscribe on some apps like TOPO U.S. 100k, Recreational Lakes, Fishing Hot Spots, Birds eye imagery, then your navigation effort for the top fishing lakes (especially of the US) will be more easy. And that’s why I have ensured most of the handled fishing GPS on the list comes with these features for a great fishing experience. Choosing a GPS with a high sensitivity receiver will help you to load the data quickly from the satellite. The quicker accessing system means you are in advance to navigate your necessary data in moments. So the high sensitivity WAAS and Glonass enabled GPS is the right device that provides a quicker access with better accuracy for the data. You can’t give any guarantee that the GPS won’t slip from your hand or it won’t get touched by the splashes of water. So a handy waterproof GPS will make you able use it on any environmental conditions. That’s why you should choose a waterproof GPS as if you can keep it active in any condition and anywhere you want. I am also making sure that all the listed devices are waterproof. The display readability one of the important feature for every GPS device. Because most of the anglers angling in daylight and if you can’t read the screen in daylight, then it will obviously be a big problem. So make sure the screen has readability in daylight and that’s why you can choose a sun readable TFT display or a kind of LCD display that is truly readable in sunlight. The GPS as an electronic device the battery is an integral part of the device. The great things nowadays most of the GPS devices run on rechargeable batteries and that’s why no money needed to be wasted behind the non rechargeable batteries. When a GPS track you during your activities, it consumes the charge and as well when you navigate the maps or other features, it also needs the charge. So the rechargeable battery should run the device till your expected time and I think the battery life shouldn’t be minimalist. At least it should active the device for 10 hours while 15-30 hours or more are better for a GPS. Adding maps, marking waypoints, saving maps, saving hotspots, adding new features, saving any records and taking new photos (Some GPS even has the camera), all these things required the space in storage. So, the adequate storage requires in external or internal memory to safely store the data. If you are a pro user, the storage of your GPS should be bigger than the non-pro user. Although the Barometric Altimeter in the GPS device is a most needed feature for the adventurous hiker and mountaineer. But for fishing it might not as necessary. But the electronic compass can be used for recreational fishing and offshore fishing and when you are heading to a spot the compass would be your director. Although all recorded data can be imported to your personal computer with a USB device. But to share your amazing records with your friends you need wireless connection and obviously the Bluetooth has been named as the one. But in some Garmin GPS the ANT+ is an incredible addition that not only monitors your activities, but also, your activities would be monitored by your fellows. So are you looking for a best handheld GPS for fishing? Meet here the top five of them that are great for fishing. This is an extraordinary GPS for fishing that meets the features what every angler really wants in their fishing GPS. It includes the preloaded information for the hundreds of premier lakes of US with lake specific fishing tips and techniques. So If you are living in the US, then this information will help you to choose the lake by your preference while it can also specify the greatness of lakes for kinds of fishes like bass, trout, walleye and more. The paperless geocaching system also provides a depth analyzing system of every cache with all records you did. The menus are easy to navigate for this Magellan Explorist 310 as the vibrant 2.2” color transflective screen provides the optimal readability even in the sunlight. Furthermore the 3-5 meter GPS accuracy provides a great accuracy for the data while the preloaded world map simplifies the advanced navigation. 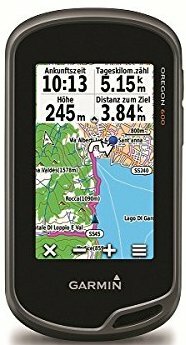 This waterproof GPS is completely rugged and has (18 hours)long hours battery life to continue the navigation till the end of your adventure. 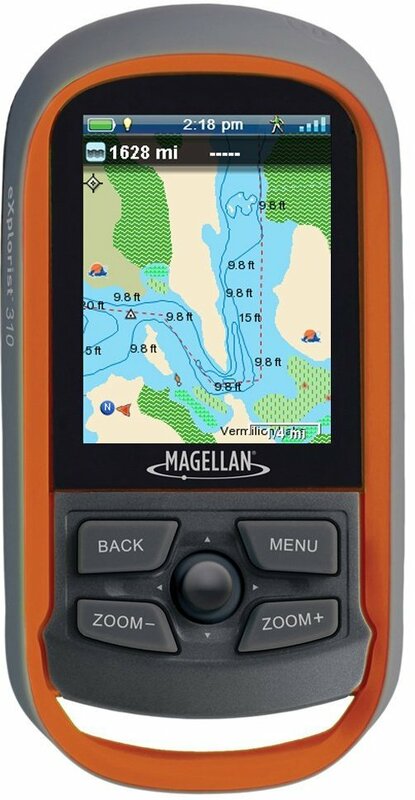 A normal GPS and a fishing GPS should maintain some specific differences and this Magellan eXplorist 310 maintains that specification as a fishing GPS. The Fishing Hot Spots hold the extensive preloaded information on where the fisherman can research and discover the secret information before fishing or during fishing. The Fishing Hot Spots offer a fisherman to analyze the vast information. You can research over the popular fishing lakes of US while you won’t have only the access to the lake profiles, but also, you can mark the fishes in advance that live in the lake on where you want to fish. Considering the species you can also find some suggestions like what lures or baits you should use that can succeed your fishing trip in your preferred lake. Worldwide basemap in it is composed with limitless maps to discover any necessary location in advance with marking the ways and anything else. When you need an extended battery life, you can suspend all the functions. But at the same time you can keep you tracked in the device. It can save a huge battery life. The Garmin eTrex 10 is one of the versatile GPS that offers a quick navigating system with a large 2.2” monochrome display that even you can easily read in the daylight. The preloaded basemap in it is effective to navigate the target points in advance while it helps to easily find the route for river and lakes as if you can reach out there without losing yourself. This high sensitivity GPS is WAAS enabled and supports the HotFix and Glonass for the most quick and easy positioning. On the other hand the paperless geocaching system also helps you to download and analyze the data easily without having any hassle of printing out. To navigate the data in an advance way you can pair the device with BirdsEye satellite imagery that will transfer limitless images of satellite to the device. And end of the day you can connect it to your computer for analyzing all of your records. If you use it for fishing the IPX7 feature will provide an ultimate protection from the water while it supports two AA batteries that can keep the GPS alive for 20 hours. Greater accuracy in tracking something while the fast loading and finding accurate information have been confirmed by WASS enabled and the support of GLONASS receiver. The device smoothly runs on these two receivers. Currently, most of the GPS are based on these two innovative receiver technologies. Comfortably navigate the data in monochromatic display while the preloaded basemap expands the opportunity to be easier in advance navigations. The display also can display the data in sunlight. Paperless geocaching for downloading and analyzing geocaching information without tiring yourself. Easily mark the elevation points, although it might not effective or necessary for fishing. But, for hiking or biking, marking the elevation points in advance would be immensely helpful. Waterproof! So be fearless to keep it in your hand in the rain. The Garmin GPSMAP 64st comes with a variety of options for hiking, camping, cycling and fishing. This high sensitivity GPS from Garmin has Glonass receiver, that means you will be able to navigate the waypoints and routes more quickly with greater accuracy. On the other hand, the quad helix antenna ensures a superior and established connections with quicker access. The preloaded basemap on it with TOPO U.S. 100k also provides almost a full coverage for US as if you can easily reach out to the target points. This Garmin GPSMAP 64st also can be paired wirelessly with other compatible devices as if you can share all the records in quick without connecting it to the computer. As well, this GPS also ensures one year free subscription on BirdsEye satellite imagery that will provide you a realistic view for the target points. And finally its 8 GB internal memory can provide an ample storage option for all of your recorded data. The preloaded TOPO US 100K is a praiseworthy basepam that is optimized with worldwide map to be accessed for discovering certain locations. But, if you fish and want to add any certain map of lakes, rivers and specific spots of fishing, then the topography of GPS64ST would allow you to build up the custom map. You can make it a super fishing GPS by installing TOPO 24K maps and Bluechart G2. The G2 is a specific marine map for fisherman that provides an HD depiction of the bottom structure, tidal station and current. These informational apps on your device would assist you to make a good success rate in offshore fishing. An included electronic compass that simplify indicating the direction while the barometric altimeter clarifies the idea to determine the pressure on elevation. You can subscribe to Birdseye Satellite Imagery from the device that would give like a very realistic view of target locations from the satellite. The Garmin Oregon 600 also from Garmin that features a large 3 inch touchscreen display. It has readability even in the sunlight and you can continue the navigating in any rigorous condition of the nature. This GPS features Glonass satellite positioning, 3-axis compass, accelerometer and barometric altimeter. It has Ant+ sensor and wireless connectivity as if you can send all the records to your friends without making a connection to your computer. 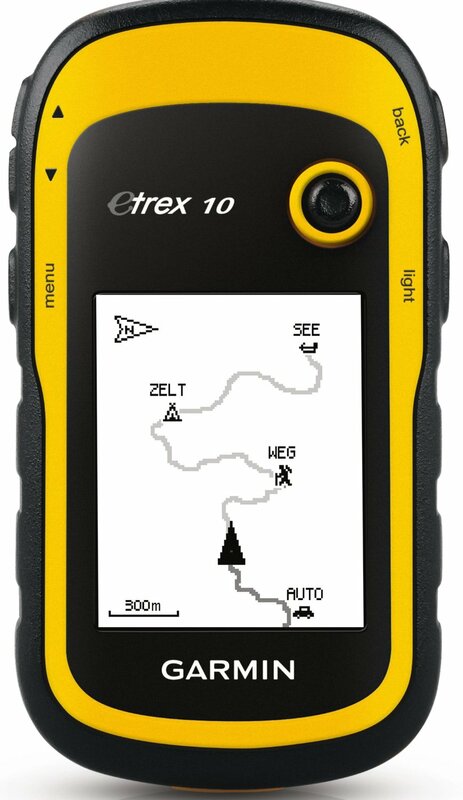 This high sensitivity GPS also Waas and Glonass enabled for a quick and precise locating for the position. It features a BaseCamp app that lets you organize the things in advance like the waypoints, routes and tracks for a touring plan. Additionally, the BirdsEye Satellite Imagery Subscription also allows you to capture lots of images of the satellite with a realistic view. 3 Axis compass with accelerometer in it is efficient in giving a clear direction. So when you walk, run or drive, you would get the indication of where you are moving. The barometric altimeter also determines the pressure on elevation and the weather condition on alpine mountains. When you hike or camp in alpine mountains these features on your GPS would be effective. As the brother of Garmin GPS64ST, it also specifically supports to a fisherman by being optimized with TOPO 24K map and Bluechart G2. You may know how these maps assist to a fisherman in finding or locating or detecting the necessary data, especially before fishing and in your fishing time. Waas and Glonass enabled what mean you won’t sweat to get access in the necessary data while these receivers let the device to load the data amazingly fast. Share the activity wirelessly that you had during an outdoor excursion time. The ANT+ or Bluetooth won’t make a complicated data transferring. The ANT+ also has live sharing feature. Large touch screen display with sunlight readability while the screen is tough and strong. As one of the handy GPS system from Garmin it also includes a preloaded basemap. On the other hand, this GPS unit is compatible with many apps including US Topo 24k, recreational lakes and fishing hot spots. So you can plan in advance with getting the detail of the most popular lakes of US. The TFT 256 color display on it also helps to read the display in any lighting condition and like other GPS units of the list it is also water resistant. This handy GPS also has high sensitivity receiver for a quick accessing ability. The long time 30 hours battery life of it also enough to keep activated the GPS for multiple days. Finally, it has an additional 64 MB SD card where the user can additionally store the detail for optional maps. When you find for an innovative fishing GPS with some similar features of a fish finder, this Garmin GPSMAP 60CX can act like that as the multiple maps like BlueChart, U.S. Topo 24K, Recreational lakes and Fishing Hot Spots can be downloaded and added in it. These features might not lively track the hot spots in the lakes or rivers, but, finding a lake in advance that cherishes your favorite fishes would be easier. High sensitivity receiver to fasten the data loading power while the SiRF tracks incredibly when you go through the crucial spots. So on the tracking map you won’t notice any breakdown. TFT display with sunlight readability that won’t be dark in the sunlight and you would comfortability navigate on any condition. Waterproof and 30 hours battery life won’t unpredictably eliminate the power of the device during navigating or tracking. Undoubtedly a GPS is one of the handy device for angling as it makes it no matter where you want to go for fishing, you will never lose yourself even in an unknown place. On the other hand, The Fishing Hot Spots digital mapping compatibility on the GPS also would work to get more detailed information about numerous lakes of the US. As well, the preload basemap for advanced planning and easy navigating also can help you to simplify the fishing expedition while the paper lace geocaching would help you to analyze your records easily and in a better way.